With the Democratic Party’s presidential election just weeks away, one of its best-known conservatives officially threw his hat into the ring Friday in a race that will determine the next leader to steer the nation’s biggest opposition party. The bid by veteran politician Seiji Maehara, 54, will pit him against 48-year-old Renho, who earlier this month pledged to become the party’s first female leader. While Renho, who only goes by one name, trumpets her communication skills and ability to shake up the party’s staid image, Maehara said “freshness” and “generational change” are secondary concerns. “The trend is now increasingly toward supporting female leadership,” Maehara said, citing British Prime Minister Theresa May, Democratic U.S. presidential nominee Hillary Clinton and Tokyo Gov. Yuriko Koike. “I was afraid me throwing my hat into the ring may put a damper on the trend. … But I’ve come to conclude freshness alone isn’t enough,” said Maehara, who served as president of the Democratic Party of Japan, the DP’s predecessor, from 2005 to 2006. Maehara, well-known for his hawkish views, ranks among the most conservative of the ideologically diverse DP. 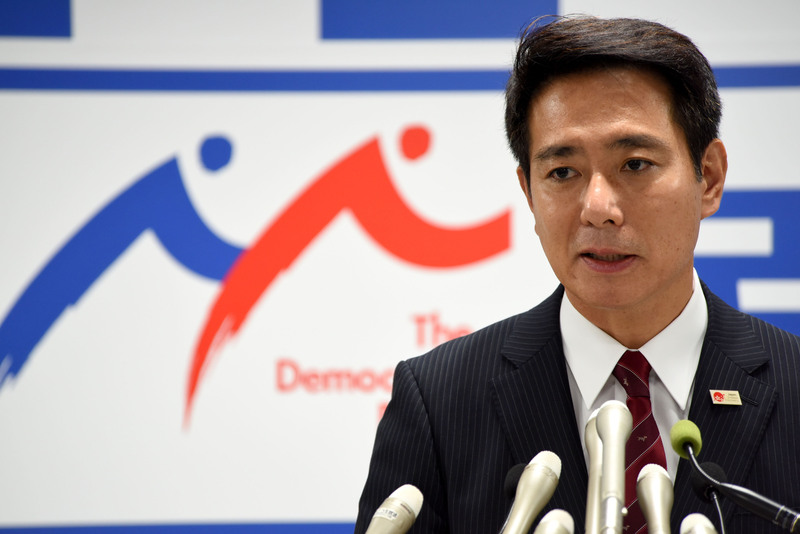 On Friday, Maehara sought to differentiate himself from Renho by emphasizing what he called an awareness of how the DPJ botched its three years in power from 2009 to 2012. “I’m among the ‘criminals’ who failed to live up to public expectations back then,” Maehara said, reflecting that the DPJ descended into “childish” infighting and sectionalism, while having no coherent idea of what kind of society Japan must transform itself into. If chosen, Maehara said he would make efforts to turn Japan into a society with Scandinavian-style welfare policies. Japan, he said, should become a society where a heavier tax is levied in exchange for free access to preschool and higher education. The former foreign minister repeated his assertions that revisions to the pacifist Constitution, a longtime goal of Prime Minister Shinzo Abe, are necessary, but said a constitutional amendment won’t be his top priority for the time being. He also suggested a tie-up with the Japan Communist Party, pushed by current party leader Katsuya Okada in the run-up to the Upper House election in July, won’t happen again if the Lower House is to be dissolved for a snap election. 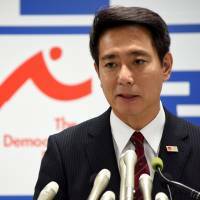 By announcing his bid, Maehara apparently seeks to address pent-up calls within the party for an overhaul of current DP executives, many of whom are considered to be close to Okada. While Renho is backed by Okada and like-minded liberals, along with intraparty groups such as one consisting of former Social Democratic Party members, Maehara aims to amass support from a group headed by former land minister Akihiro Ohata and others, media reports have said. Renho, meanwhile, is now grappling with increasing antipathy inside the party after an apparently friendly dig at Okada turned ugly. During a Tuesday appearance at the Foreign Correspondents’ Club of Japan, she elicited a burst of laughter by calling Okada “a very boring man” in reference to his somber personality, a remark that was later apparently perceived by some party members as rude.